E-commerce is one industry that arouses the interest of aspiring entrepreneurs, each and every day. Starting up an e-commerce platform is probably, one of the most common ideas that people come up with when they wake up in the morning with a quest to “revolutionise the world”. Currently, the e-commerce space in Malaysia is packed with plenty of international players and local ones as well. Brands like Rakuten, 11street, Lazada, Zalora, Go Shop and many others, compete with a fiery passion over the limited market share, while the others descend into obscurity. While people are aware of the grim reality of such an industry here in Malaysia, it never seems to faze those who aspire to lead the pack with their very own e-commerce platform one day. 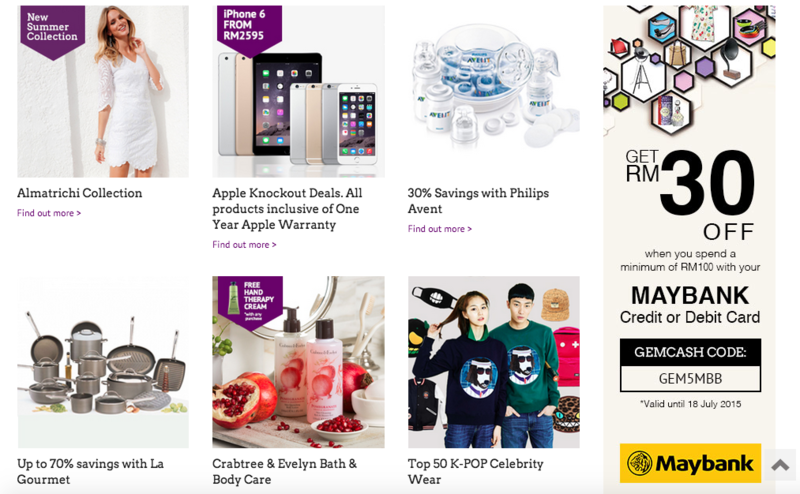 GemFive is one of the newest e-commerce platforms that recently launched on the 18th of May in Malaysia and it’s one that aspires to stay. While it makes almost-perfect sense to group GemFive with the rest of the startups that might not be around by the fall of next year, it’s essential that we take notice of the arsenal that’s backing up the new kid on the block. 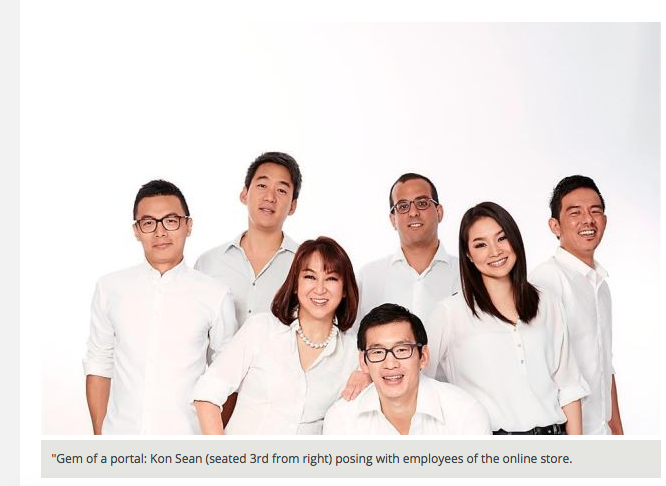 GemFive was founded by the 34-year-old chairman of GuoLine eMarketing Sdn Bhd, Quek Kon Sean, who is also the youngest son of Hong Leong-billionaire, Quek Leng Chan. 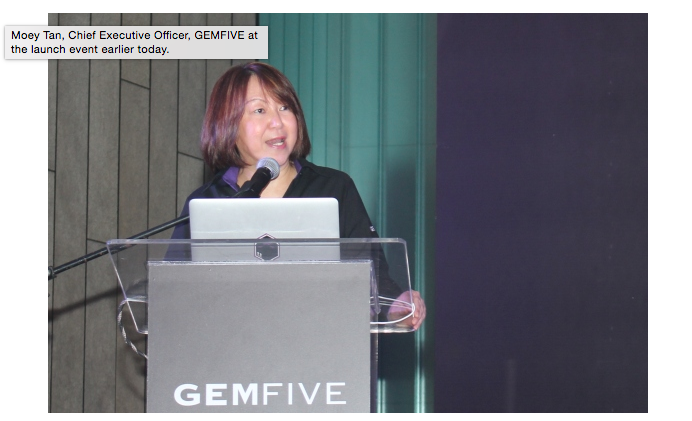 GemFive’s success could simply be genetic! Regardless of the number of current players in Malaysia’s e-commerce space, Quek continues to feel optimistic as he feels that the e-shopping market is still relatively untapped, despite the number of competitors. As reported by hardware zone.com, chief executive officer Moey tan recently claimed in a media briefing that by 2020, the online retail spend in Malaysia would have risen from about 0.5% to 5% and by 2025, it would be expected to rise to 7.9%, according to a study conducted by BCG Analysis in September 2014. In an effort to differentiate itself from the competition, GemFive places more emphasis on its curation, value and simplicity; it hopes to help customers discover cool products and brands at competitive products and they hope to provide a hassle-free experience (Something that I personally look forward to). It features plenty of products from a wide array of categories that include fashion, electronics, health and others from over 100 merchants and over 300 brands (both mainstream and high-end brands). One feature that will definitely give it an edge over other e-commerce sites is that GemFive is also looking to be an exclusive source for selected Kickstarter gadgets; currently, the Gamovox is available for pre-order on GemFive, and we look forward to even more cool products over time. GemFive’s site has a high-end aura to it and it’s pretty simple and straightforward to use. Products are arrayed in their own specific categories and there are plenty of deals and featured products that are present on the site. In fact, you could get RM30 off your total order if you spend a minimum of RM100 with your Maybank Credit or Debit Card. They accept a wide range of payment services like payment through your credit or your debit card (all of the direct banks), direct debit, MOLPay, FPX, and others. So, paying for your products wouldn’t be an issue. The team behind GemFive feels that their greatest advantage over their competitors would be the way they relate with customers by building up and harnessing transactional data with a hope of engaging customers in an even more personalized manner. While there are plenty of competitors in the current market, GemFive might just pull of the impossible, primarily because of their support system (the team) and the amount of cash they could inject into the platform. If it continues to improve its services by being a customer centric company like Amazon.com or Jet.com, it could simply become the next big thing here in Malaysia.